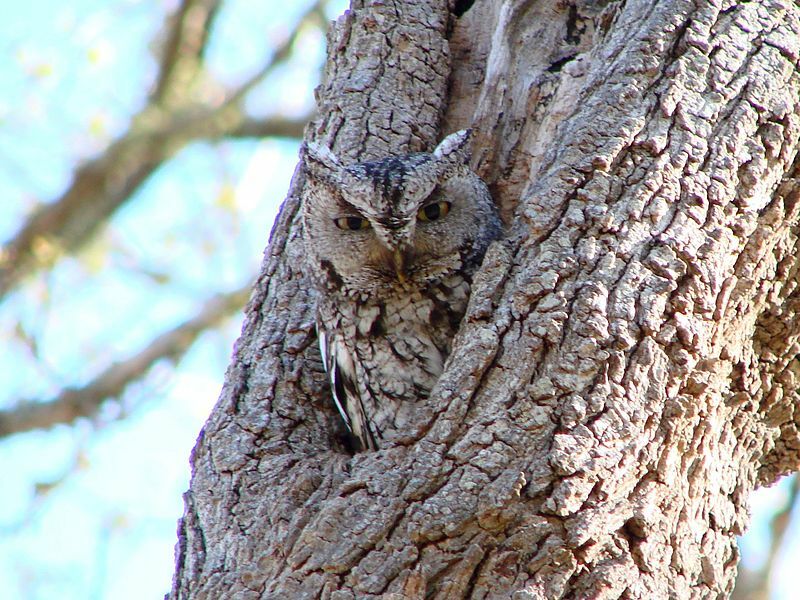 Eastern Screech-Owl (gray morph), Kerrville, Texas, April 2009. Courtesy of Wikimedia Commons. 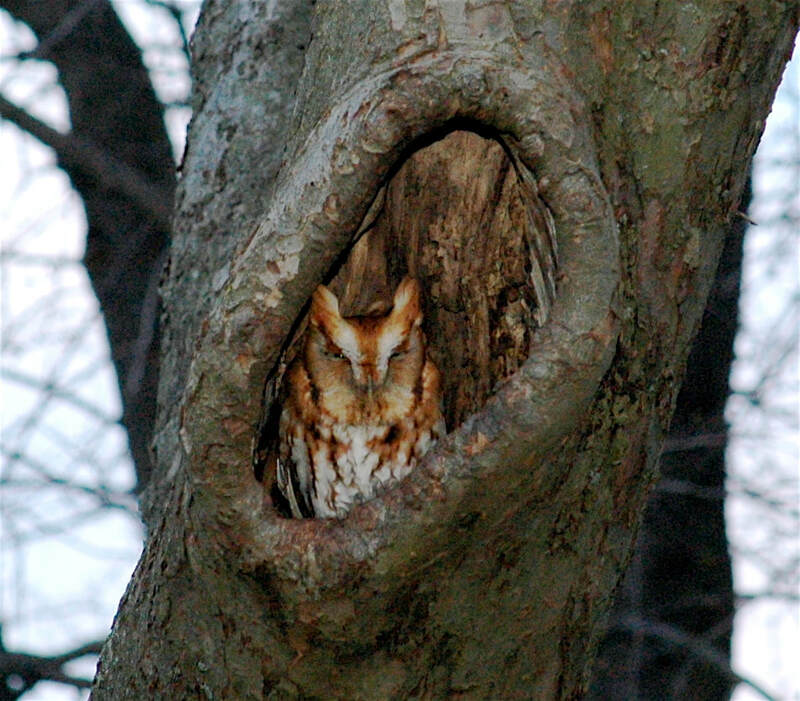 Eastern Screech-Owl (red morph), Cedar Grove, NJ, 2007. Courtesy of Wikimedia Commons. This owl is only the size of a robin and has classic owl features: two big eyes, ear tufts, and a sharp little beak. There are two “morphs,” or colors: red and gray. The latter is more common and its mottled coloring affords excellent camouflage. 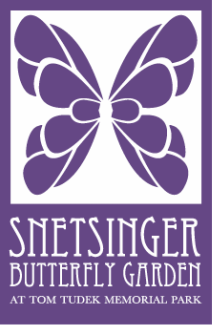 Food, cover, perhaps nesting sites.